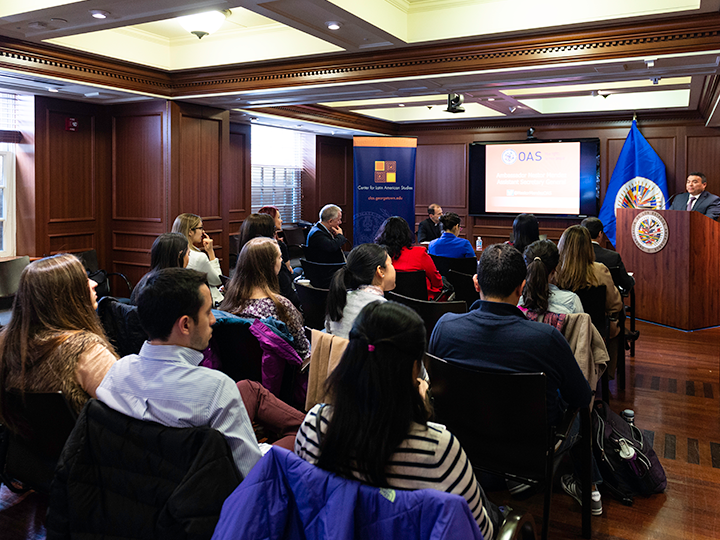 The Center for Latin American Studies (CLAS) and the Latin America Leadership Program (LALP) welcomed Ambassador Nestor Mendez, Assistant Secretary General of the Organization of American States (OAS). 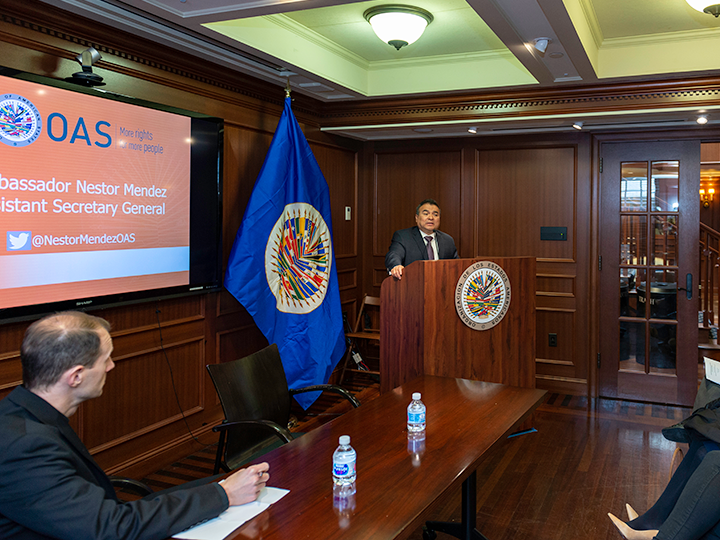 Ambassador Mendez shared his views on the recently held VIII Summit of the Americas, focusing on the lessons learned with heads of state, the Western Hemisphere, and the path ahead for the region. 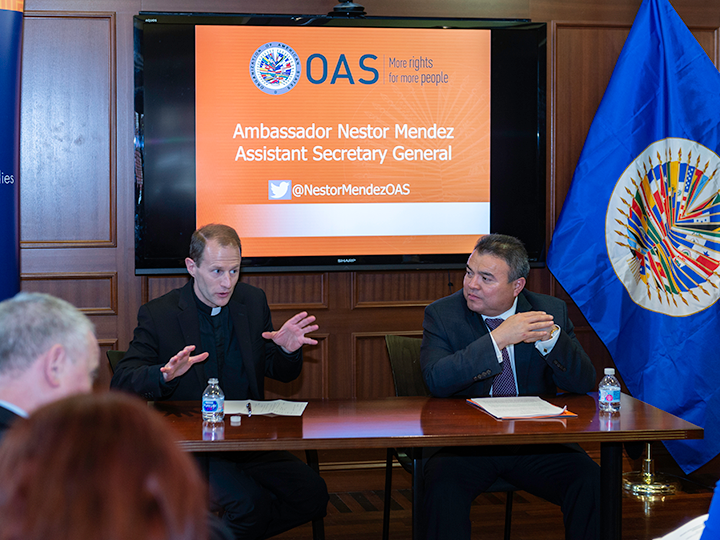 On April 24, 2018 Ambassador Mendez addressed one of the major challenges the Americas faces, which is corruption. He initiated his remarks with the origins of the summit, which began under an initiative with President Bill Clinton. 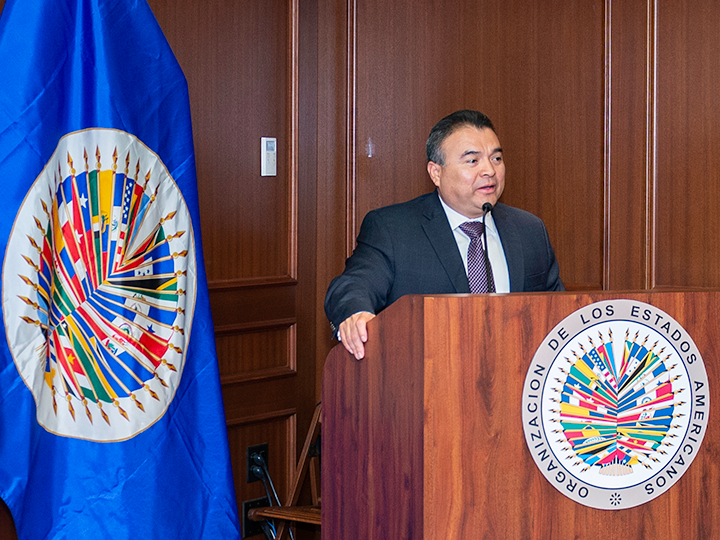 Since 1994, there have been eight summits, each strengthening hemispheric cooperation and economic integration. The progress from the summits, demonstrate a stronger sense of collaboration in the region, and a commitment to meet the needs of its constituents. The summit allowed the distinguished representatives to engage in a diplomatic effort to increase the socio-economic livelihood of their citizens. The Lima summit focused this year on the pledge against corrupt practices and the initiatives within Latin America. Ambassador Mendez stated, “Corruption is one of the most serious threats to the consolidation of democracy and to social and economic development….There is a clear correlation between corruption and the lack of confidence many citizens have in their governments.” With the expansion of technology, the citizenry can readily engage their representatives and demand greater accountability and transparency. Therefore, a new development of the century is the manner in which citizens engage in politics and their increasing role in catalyzing social reforms. 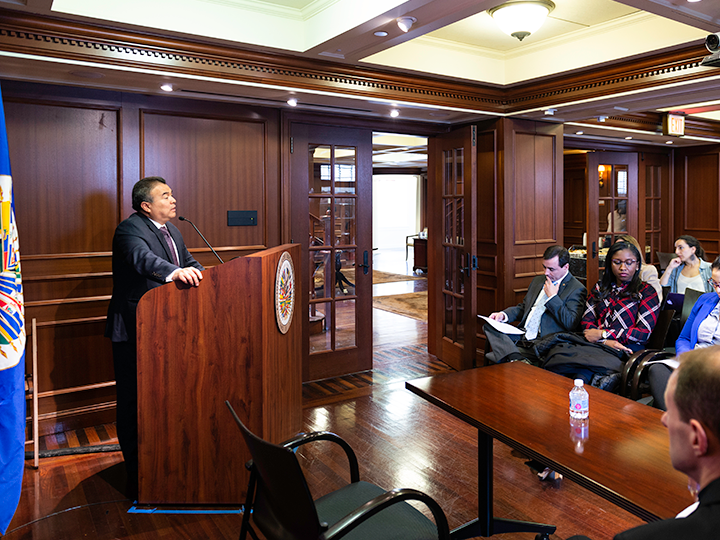 Ambassador Mendez addressed the major challenges and opportunities that emerged from the Peru summit, which seek to strengthen the rule of law. Odebrecht exemplifies the need to reevaluate and change a culture, which enables corruption. 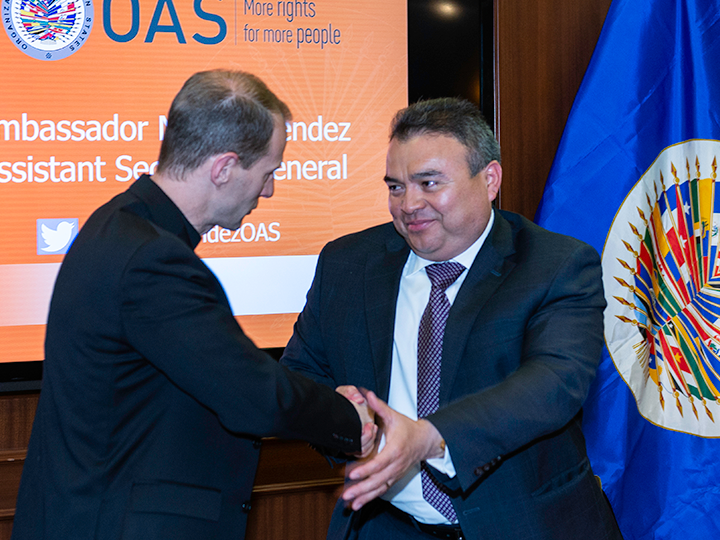 While Odebrecht reached a transnational magnitude, Mendez mentioned the small compensations given to police officers during traffic violations in the region. Through these actions, the individual is perpetuating corruption. One of the solutions is educational reforms to instill a greater sense of civic responsibility. 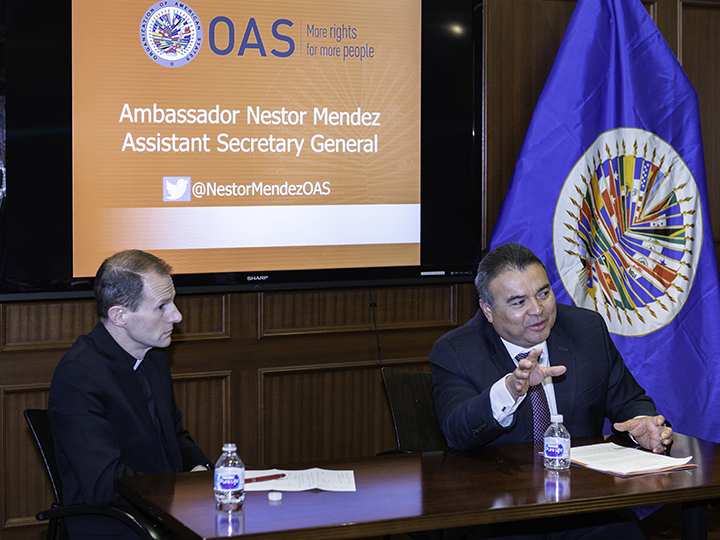 As Ambassador Mendez stated, “It is almost impossible to legislate yourself out of corruption, if the structure that implements the laws is seen as flawed. There must be political will”. To mediate issues of exploitation and corruption, greater civic values and will must be instilled in the subsequent generations.